Help a young sorceress-in-training cleanse a magical garden of evil by connecting the branches of budding flowers. 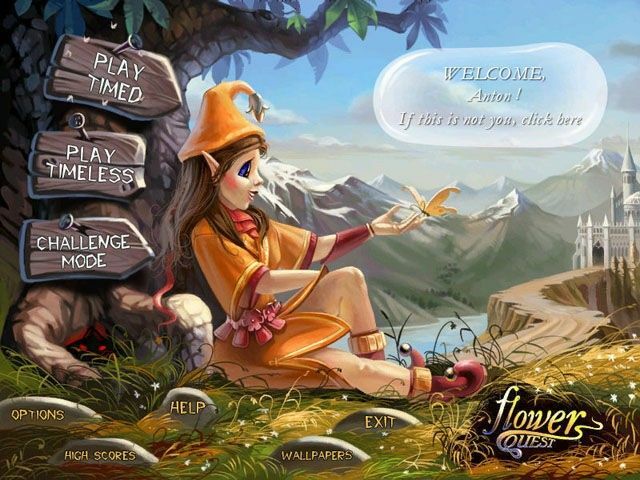 Flower Quest features 50 levels and three game modes ranging from challenging to relaxing. Green thumb not required! 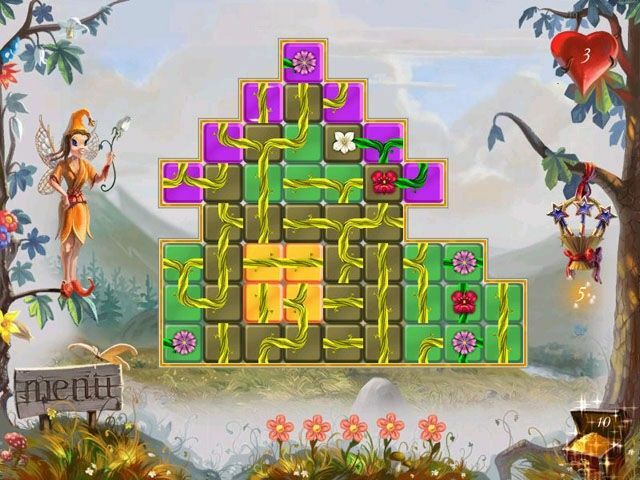 Flower Quest is a puzzle game in which you rotate the branches of budding flowers to connect the plants one to another. Doing so removes the tiles on which they rest and allows other twigs and blossoms to drop onto the game board. Once all of the tiles have been cleared, you advance to the next level. You receive help in the form of flowers with special properties. 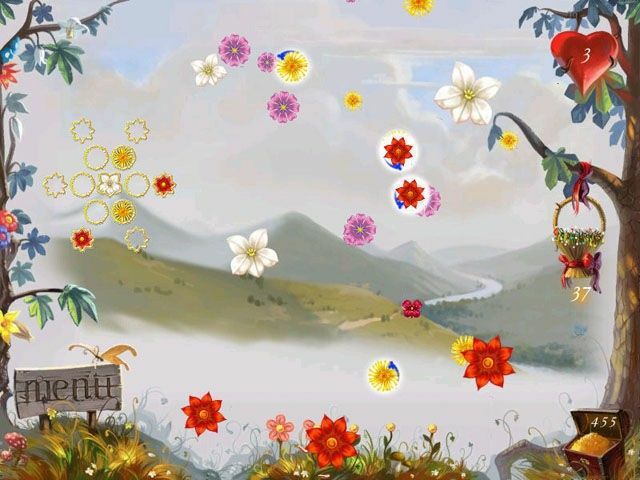 For instance, one useful blossom blows up nearby tiles, allowing you to clear the game board faster. Some flowers are uncooperative, however, and should be removed as soon as possible. A good example of a bud-gone-bad would be the Predator Flower, which restores tiles you've already cleared. An easy setting is available for new sprouts, while seasoned puzzle game fans can tackle the game at the higher difficulty settings. Are you up to the challenge? Download your free trial version now and find out!